Joseph Cicinelli ’10 and his wife, Lisa (Male) Cicinelli ’11, welcomed Tiny Titan, Nicholas Paul Cicinelli, on March 24, 2018. Babawande Afolabi ’10 is the founder and CEO of Green Africa Airways. The new airline has received an Air Transport License (ATL) from the Nigerian Government, commenced its Air Operating Certificate (AOC) process and is in conversations with leading aircraft manufacturers. Green Africa Airways also recently announced that it has completed its Series A round of financing with Kuramo Capital, a Pan African independent investment management group based in New York with additional offices in Lagos and Nairobi. As part of the new investment, Green Africa Airways has also formed an advisory board of senior industry leaders. 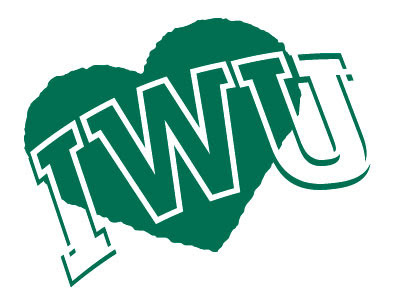 Not only is today a day for giving, it’s a day to celebrate IWU and all of the things that make it special. Last year, our class had an impressive 47 donors, and we contributed $2,276. Let’s think bigger and surpass last year’s donors and dollars contributed! 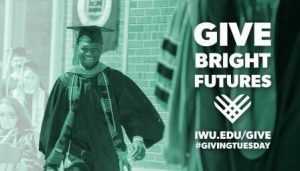 Think of the impact this can make for IWU students and their families!